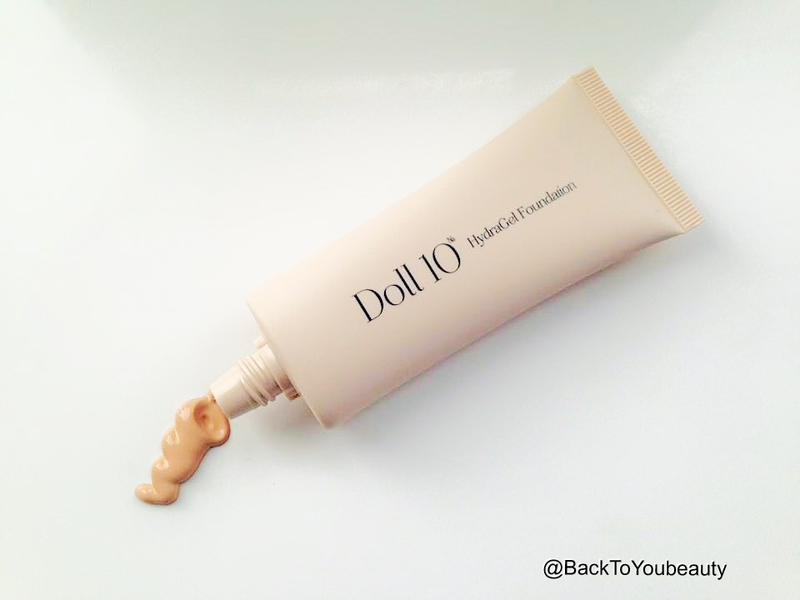 Doll 10 Cosmetics is one of my absolute favourite make up brands. I have been using it since its UK launch around 3 years ago. I think the reason I love it so much is because the products are easy to use, easy to wear and super long lasting. 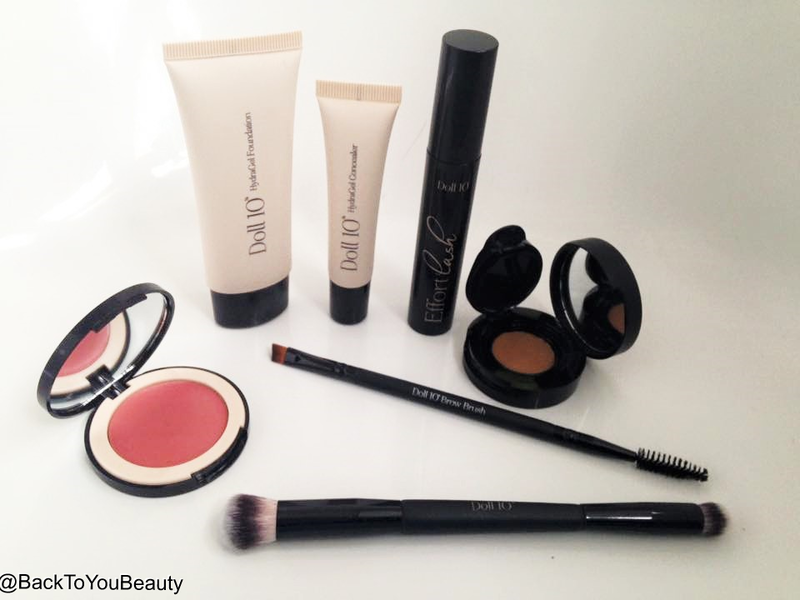 The range is not huge but literally has everything you need to create a flawless, full face. Only available via QVC in the UK, it has a huge following of loyal fans thanks massively to its gorgeous creator Doris Dalton, but also to its beautiful packaging and good-for-you ingredient’s. More about this brand can be found on my previous postings HERE and HERE. Doll 10 cosmetics are always available online with QVC however, a couple of times a year a fantastic value collection is made that airs at a great price for just 24 hours or until stocks last. The Doll 10 TSV is available on February 3rd 2016. HydraGel Foundation – Containing the Brand new Hydragel formula, this is a lightweight, yet full coverage foundation. Where a little really does go a long way. I have been lucky enough to have been using this product since last year and adore the way it feels on my skin. So light and smooth whilst covering my pigmentation, redness and all round uneven skin tone. It really gives a flawless base. Containing high density pure pigments which are suspended in the gel formula, it really gives a radiant finish. Using a foundation brush of your choice to really get into the contours of your face, you need very little of this product. I buff mine on using the Doll 10 Blendsmart brush and it really gives a beautiful flawless look. Play around with it at first because I think you will be surprised at how little you need and you can then build in the areas that need more coverage if you feel you need it. HydraGel Concealer 12ml – This concealer is absolutely amazing! I have been lucky enough to be using this since early last year too and I love it so much. I use this Every.Single.Day. The amazing Gel technology makes this an incredibly lightweight concealer, that dries instantly and gives a full coverage. As this dries as soon as you have applied and blended it where you need it, the concealer will not pool into creases or look thick and heavy. I wear this under my eyes all the time and never have a problem with it. It is also beautiful as an eye shadow primer because it evens out the colour of the eyelids and gives a beautiful neutral base to apply eye shadow. 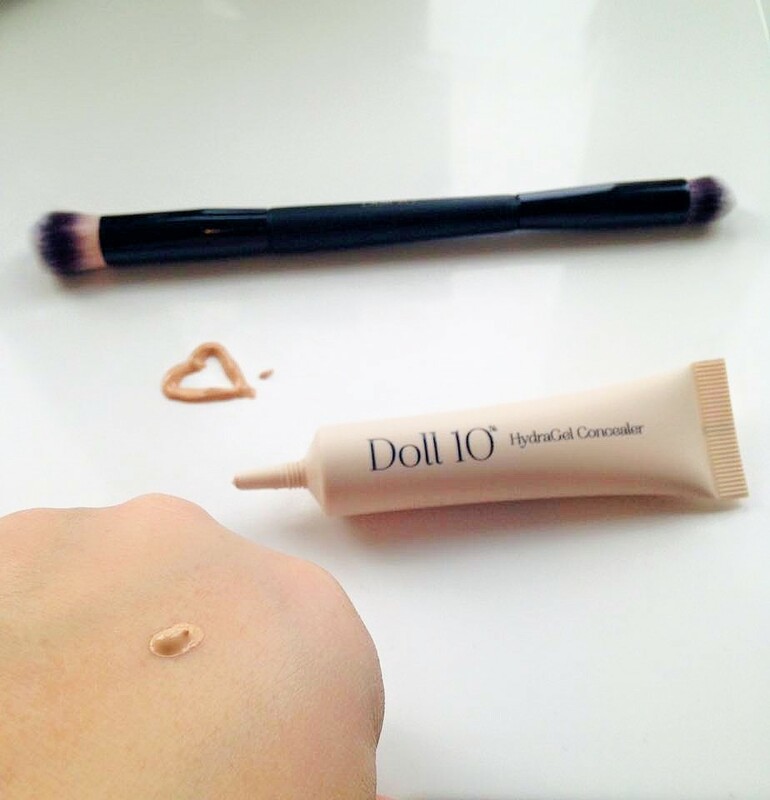 This concealer has so much coverage that is can even cover tattoos! If you are suffering from redness or dark circles under the eyes, like I do, then I am sure you will find the coverage amazing. The concealer also comes with a fabulous brush, one of my favourite make up brushes of all time in fact. You use the smaller end of the soft, synthetic brush to dot the concealer where you need it, whether that be under the eye, around the nose, on any redness or blemishes and then use the fluffy end to gently buff it into the skin. Containing Light diffusing technology, it really does brighten up the under eye area, yet does not draw attention to any blemishes you may have used it on. 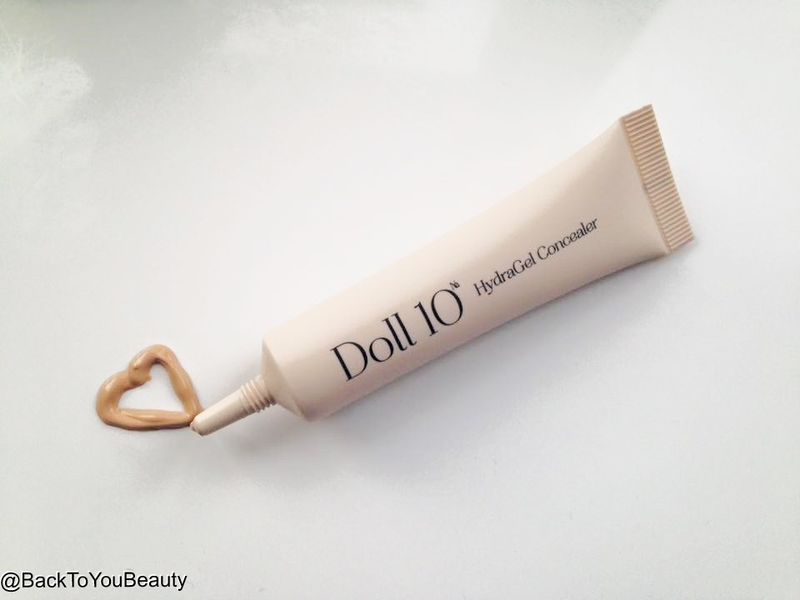 I also love Doll 10’s Conceal it concealer which is more of a cream base, but am using this Hydragel formula more. Inside the tube the gel is liquid, so only squeeze a tiny amount onto the back of your hand and dip your brush in. I know that you will not believe me, and probably squeeze out a big dollop hahaha, but I promise you need the tiniest amount. The gel then dries to a smooth almost powder like texture that you really cannot feel on the skin. This is always with me where I go! It comes in Light, Fair, Medium and Tan shades, I actually have it in light and medium because I like a lighter look under my eyes however, if I use the light on my medium foundation, it blends and covers so beautifully with my foundation that you do not notice a shade difference. 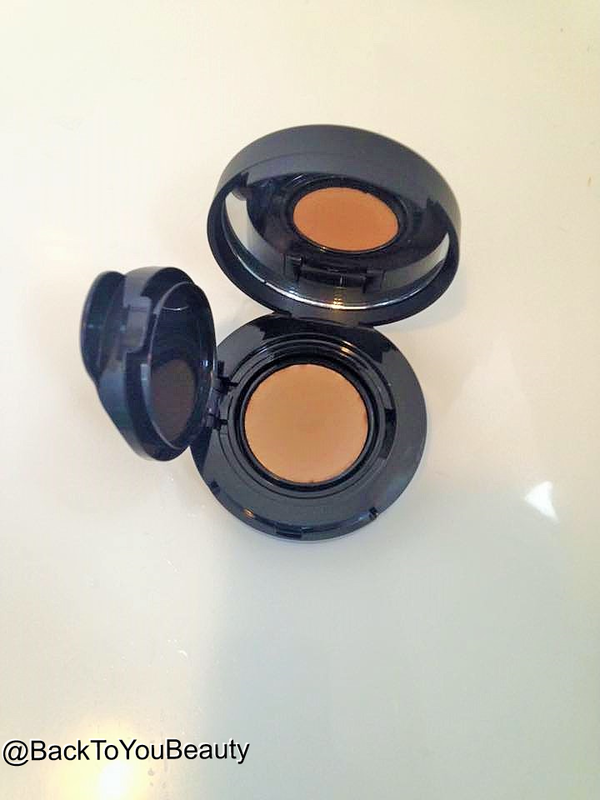 Brow Fix Pomade 2.3g – Brow fix was the very first Product created by Doris Dalton of Doll 10. Doris has always been very open about her battle with Cancer, and thankfully now fully recovered, she always explains how she knew she was first ill because she lost her brows. Brow fix was born out of need. Containing a natural cellulose fibre that mimics hair, this product really gives structure back to your face. Now im not going to lie, I don’t actually use a brow product, I have always been blessed with big bushy eyebrows that have finally (after 41 years) come into fashion woo hoo!! I have naturally blonde hair and naturally dark eyebrows, i am always told that its not possible, but hey… here i am!! 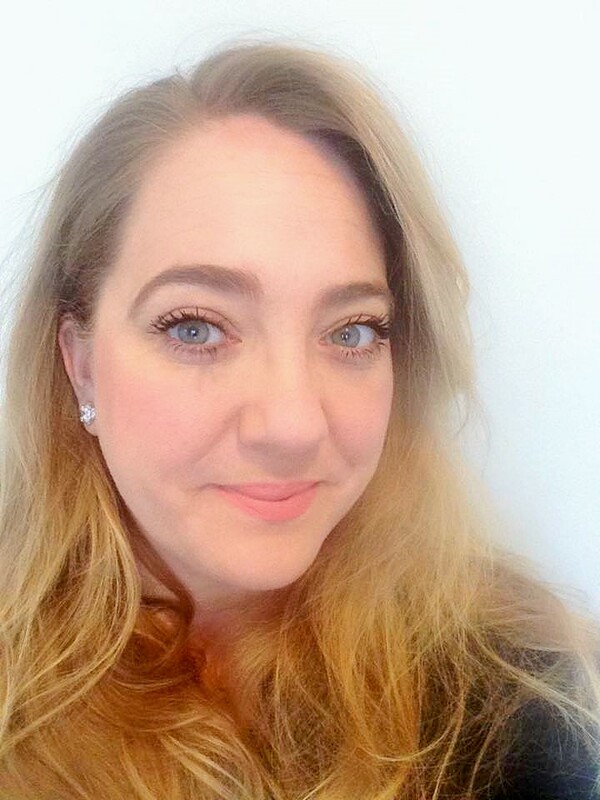 However, as I am getting older I have noticed the tail of my brows getting shorter and a few little gaps starting to show, so I was really pleased to try this product. Not only does Brow Fix stick to skin, but it also has conditioning ingredient’s to help the brows that you do have, plus it covers grey too! It is so easy to use in this universal, suits all shade. Using the spooly tool included, brush any hairs that you do have upwards, then using the small tipped angled brow brush pick up a small amount of product. Follow your brow bone, an using little strokes apply the product all the way across, finish by brushing your brows through again et voila! Beautiful, natural looking brows that will not budge until you take them off with make up remover! You can even swim and shower in this product without fear of it coming off. It comes in a very handy little container that has an airtight clip over the product and a handy mirror inside and it will last you years hahah. You really do need such a small amount. Im not going to lie, when I first took the wand out of the tube, I did kind of wonder where the bristles were? The wand is quite slim, with teeny tiny bristles. Well, as soon as I added one stroke of mascara I should never have second guessed! Wow! Suddenly, beautiful long lashes appeared as if I was stroking them on from the tube!! Each tiny, little bristle, gets between each of our lashes coating even those invisible lashes. 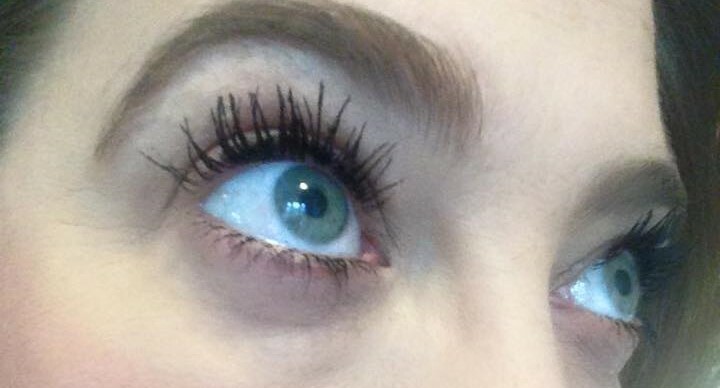 It literally coats from the lash line all the way to the very tip of the lashes. Wow, wow, wow. It looks absolutely beautiful. 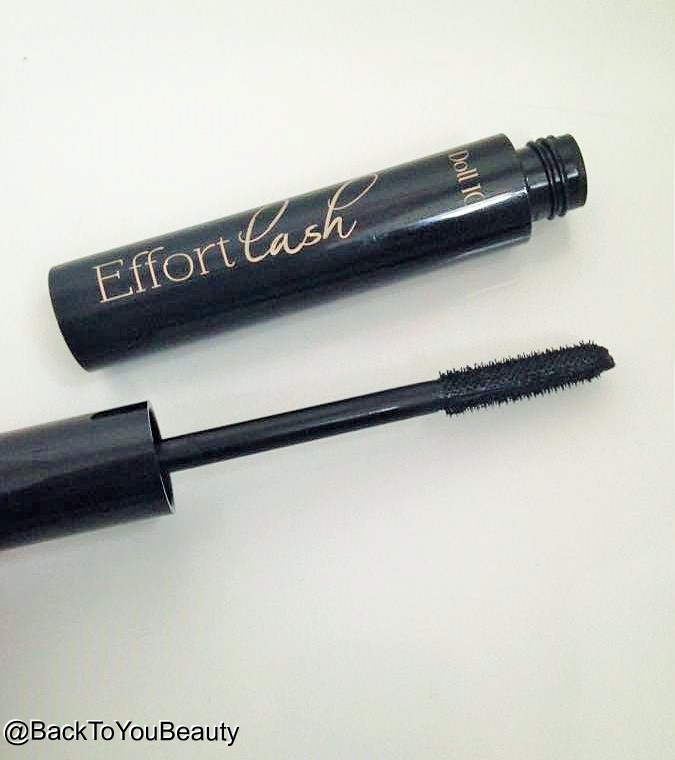 Now I know why it is called Effortlash mascara, a couple of sweeps and full, beautiful, black lashes are yours – amazing. Hydragel Blush Flirt – These Hydragel Blushes of Doll 10 are very popular indeed and this is another beautiful colour to add to the collection. Containing that new technology Gel formula that Doll 10 have included in their foundation and concealer, this is a light weight blush that will not disturb your make up, or look too cakey. It will give you a natural flush of colour. As someone with dry skin, I will always choose a liquid foundation and blush over anything else, it looks better on my skin than a powder and I prefer its lightweight, natural look. 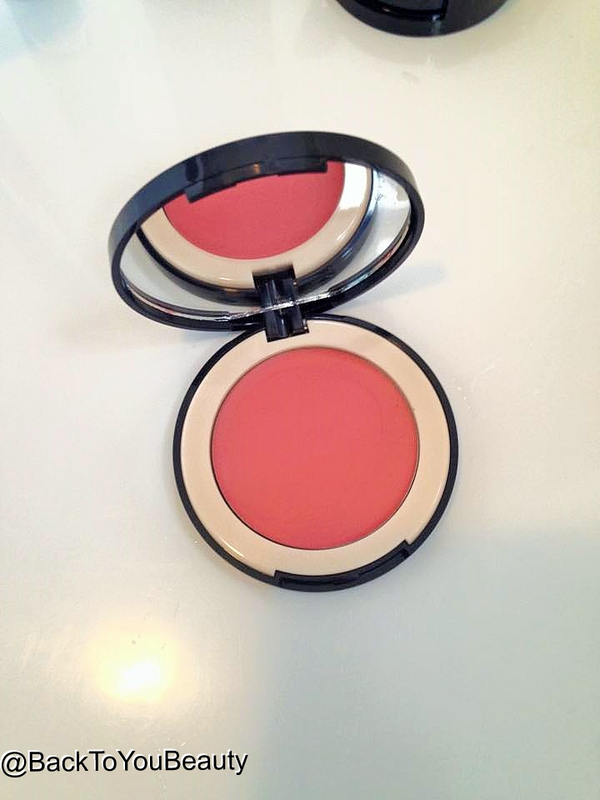 These hydrogel blush are so easy to apply, I just use my finger and gently tap it where I want it on my cheeks. No shimmer, no sparkle, not sticky, just a beautiful, silky, healthy natural colour. I even use these as a lip tint sometimes when I don’t want a make up look but my lips are a bit pale. You can build these colours a bit, but they are more natural on than they appear in the container. If you are a darker skin tone, just have a play with it and build it up. Comes in a lovely, portable, mini compact with mirror included which I adore. Just as a foot note, one of my Favourite highlighters in the world, that I always mention on my blog is Champaign glow, by Doll 10. If you get the chance take a look for that HERE. Doll 10 brushes are some of the nicest I have ever used. They are outstanding, and professional quality. They can be used for liquid and also for powder make up and have a beautiful weight when you hold them in your hand. The two brushes included in this kit are perfect for the items that they are with and the Concealer brush also makes a great contour brush too. I have a full collection of Doll 10 Brushes and they clean up really well. Always make sure you lay your brushes flat after cleaning so that water doesn’t fall back into the barrel. More Doll 10 brushes can be found HERE. This collection is a brilliant starter set for anyone that has not yet tried the range, but also a great top up for the avid user of this brand. Containing all you need for your flawless base it is fantastic and works on any type of skin. It is no secret that I am a fan of this range so I would love to hear your thoughts too. 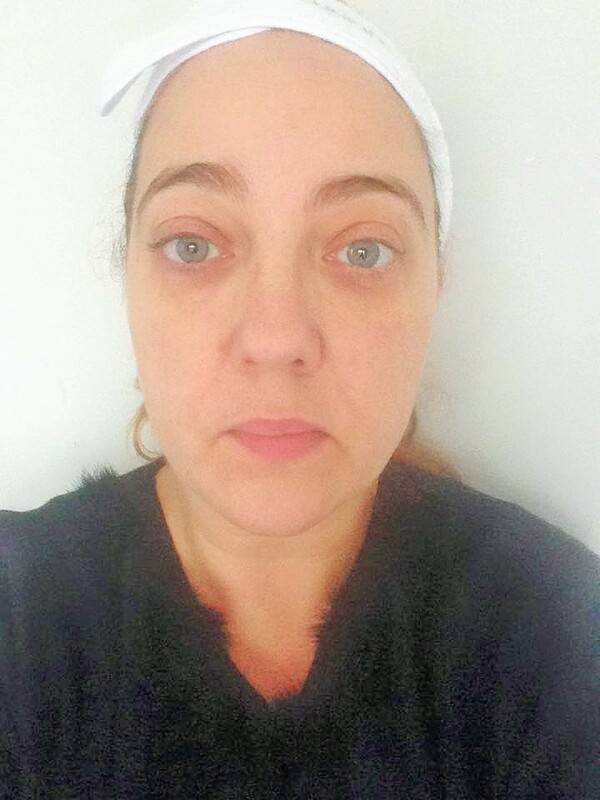 As you can see from the (shocking) before photo I have a lot of uneven skin tone and dark circles. Although I am normally a Medium in Doll 10 I was sent a light in this TSV but you can still clearly see the flawless coverage it has created. I am only wearing the products in this collection in the after photo and have used the Hydragel Blush on my lips. The TSV is available on February 3rd from Qvc all day or whilst stocks last HERE. Do leave me a comment below. "Gatineau 5 piece Refresh skincare collection Qvc TSV Global Launch"
"A'Kin natural products for a natural you!" Looking forward to seeing the demo's on this TSV. Never tried this range before.